I'm sure many of you have seen these already but if you haven't made them, you need to try them. 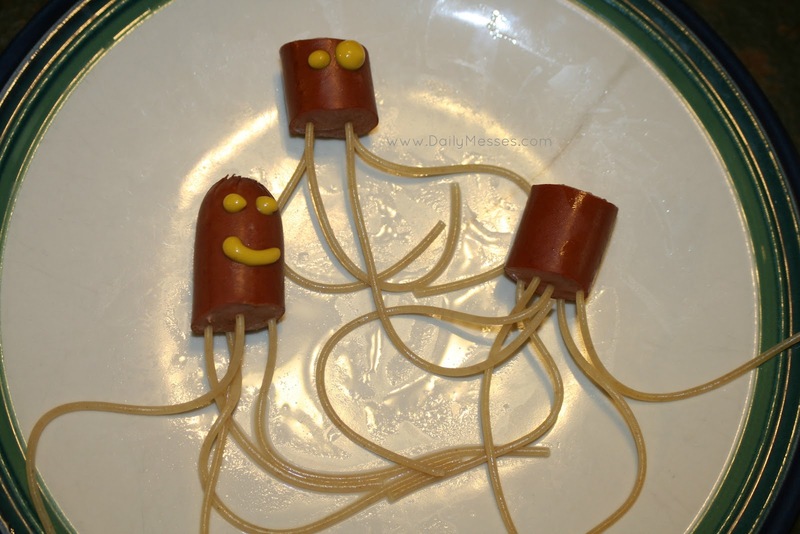 These adorable squidy dogs will only take you about 10 to 15 minutes to make, but your kids will gobble them up in seconds! 1. Start water boiling in large pot. 2. 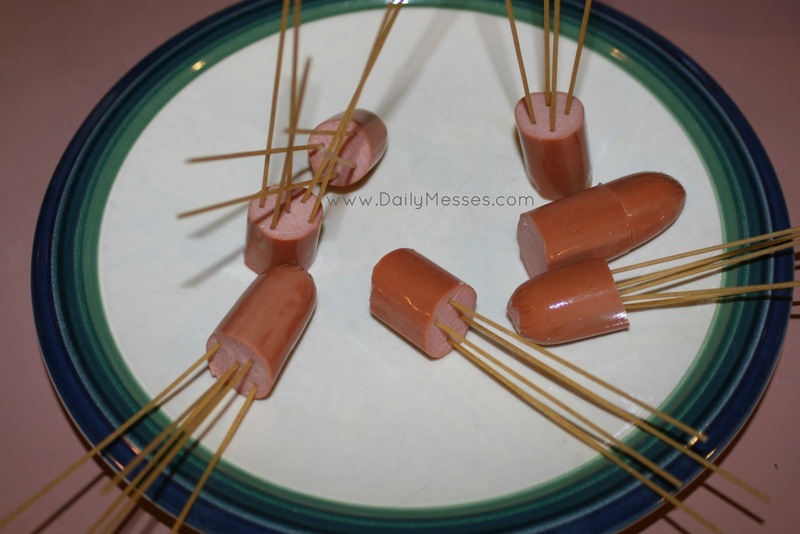 Cut hot dogs into 1 inch pieces. 3. 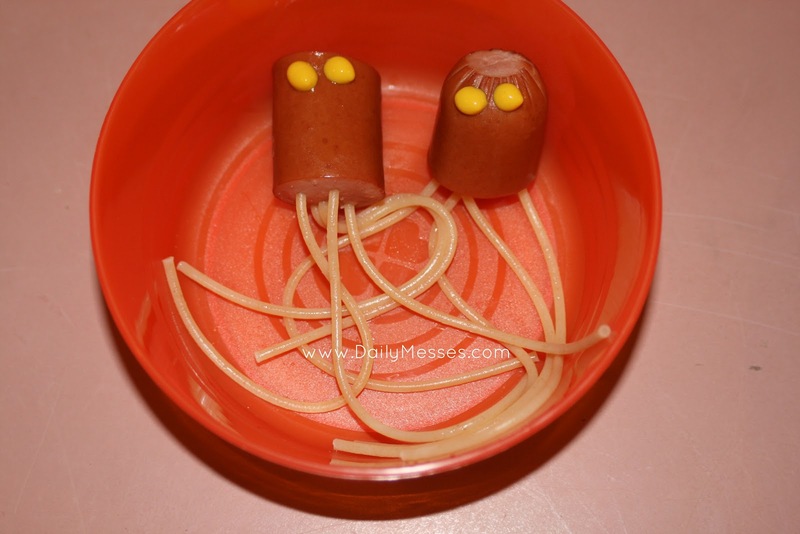 Insert uncooked spaghetti noodles into bottom of hot dogs. 4. Place into boiling water for 8 minutes, or until pasta is cooked. 5. Carefully remove from water. If desired, use mustard or ketchup to create eyes.